Apex, NC: Mr. Cecil Thomas Etheridge, age 75, died Saturday, March 30, 2019 at Transitions Life Care in Raleigh. A graveside service will be held at 11:00 AM, Tuesday, April 2, 2019 at Hills of the Neuse Memory Gardens, Smithfield. 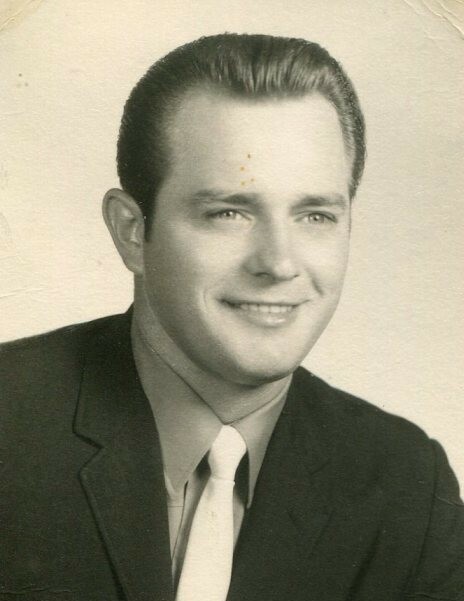 Mr. Etheridge was born on May 30, 1943 to the late John Paul and Beatrice Coats Etheridge. He was preceded in death by brother, James Lawrence Etheridge, father-in-law, Roy Byrd and brother-in-law, Roy Byrd, Jr. Mr. Etheridge was retired from NC State HVAC Division. Mr. Etheridge grew up in the Cleveland community as a farm boy and in his youth rode his Dad's "GREY MULE" to Smithfield on Saturdays to wash cars at the service station. He was an avid horseman, his pride and joy being Circle E Ranch in Apex: showing, training, judging, boarding horses and offering tips to other riders was his enjoyment of life and he made life-long friends. He also loved catering good southern food. He enjoyed his annual "Cleveland High School class of 61" reunions because of the friendships that were forged in his youth. Surviving include his wife of 44 years, Gale Byrd Etheridge, sister, Kathern (Tony) Johnson of Four Oaks, brothers, Bob Etheridge (Faye) of Lillington, and John (Lynda) of Smithfield, Mother-in-law, Grace Byrd of Four Oaks, sisters-in-law, Jean (Billy) Wall of Wilmington and Janice Byrd of Erwin, loving nieces and nephews, and his special dog and cart-riding companion, Ida, who gave him numerous hours of love and attention.. The family will receive friends at Rose & Graham Funeral Home in Four Oaks, Monday, April 1, 6:00PM to 8:00PM and other times at the home of Kathern and Tony Johnson of 567 Strickland's Crossroad's, Four Oaks. Flowers are welcomed; however memorial donations may be sent to Transitions Life Care at 250 Hospice Circle, Raleigh, NC 27607.